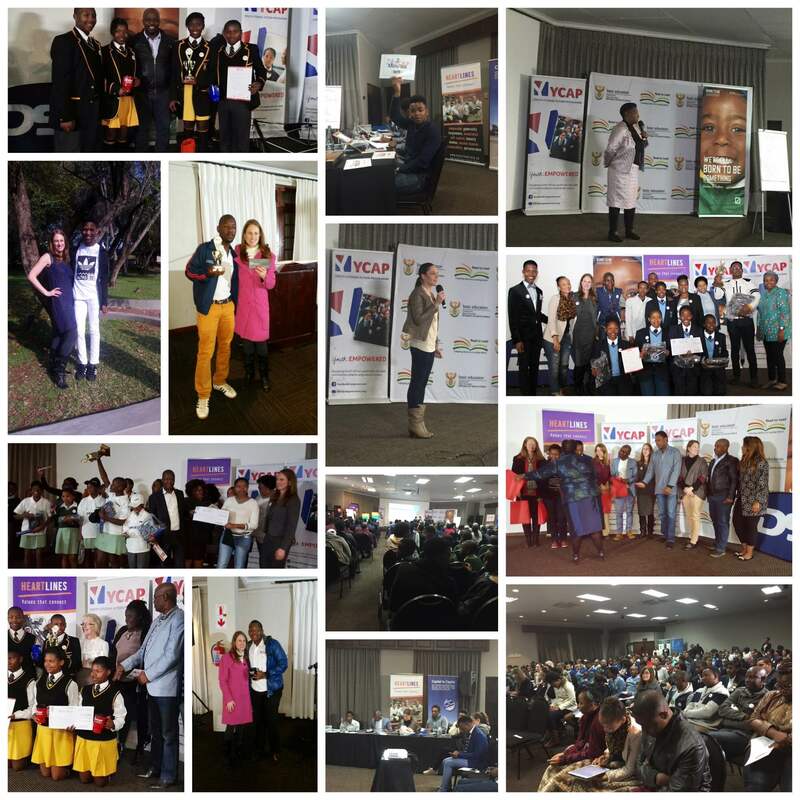 The Youth Citizens Actions Programme (Y-CAP) National Championships took place from 22-24 July with the main event being held on Saturday 23 July 2016 at Faircity Roodevallei Hotel in Pretoria East, Gauteng. The 160 people who attended the Nationals weekend were the provincial winning teams from the primary and secondary categories from each of the nine provinces, along with their teachers, district and provincial Departmental officials. 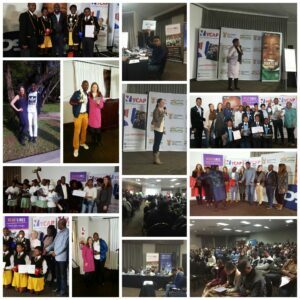 During Youth Month and Mandela Month, provincial showcase events took place throughout the country where from the four hundred schools that registered, comprising over 4000 learners, these 18 teams were selected as national finalists as their projects were the most impactful and sustainable. Empowervate and The Department of Basic Education have been collaboration partners on Y-CAP since Y-CAP was founded seven years ago. Through the Department of Education in each province and district, learners and their Y-CAP mentor teachers had been provided with Y-CAP toolkits from Empowervate that showed them how to identify challenges in their schools and communities. They then followed the step-by-step guide which asked them to find creative and innovative solutions to the that addressed social, environmental and academic challenges in their schools and communities. They then brainstormed solutions and then implemented them. Finally the teams had to analyse the impact they made on the topic as well as their own personal development through the skills they developed while being active citizens. “The quality and creativity of the topics this year was so refreshing and inspirational, the adjudication panel had a difficult task as all the projects made such a difference in the school or community, but they had to find the project with the highest impact and sustanability, which they uanimously agreed on” says Empowervate CEO, Amanda Blankfield-Koseff. The National Y-CAP Primary School Winners are Isibukosabasha Primary from Dundee, a rural area in KwaZulu Natal, for their project on health and safety including making their school taxi transport safer, their kitchen more hygenically operated and the saving of water by reusing handwashing water for other purposes. North West’s Madibeng Primary grabbed second place for their community literacy promotion project and Iphutheng Primary from Alexandra Township in Gauteng was the third place winning team for their tutoring programme to improve academic performance at their school. Taking home the title of National Secondary School Y-CAP winners are Lerato–Uthando Comprehensive School from Harrismith, Free State, who tackled the challenge of lack of access to sanitary pads, which was causing girls to drop out of school as they missed a week of school each month and fell behind in their academic performance. They managed to get donations of sanitary pads and got 12 girls to come back to school, with more registered to return in the new year. In second place is Northern Cape’s Postmasburg High’s Y-CAP team for their Self-Esteem project and Eastern Cape’s Solomon Mahlangu (2015 National Champions) took third place for their poverty alleviation project. Prizes included tablets for the National winning teams, and for the top three teams Boston City Campus short course vouchers, Ster-Kinekor Movie vouchers and backpacks, access to SpecCon’s Microsoft e-learning course for the whole school, and grant funds to expand their projects from the sponsors. “We want to strengthen this partnership with Empowervate because we need more responsible, empowered citizens and Y-CAP is promoting this to the learners across the country,” said Malebo Lefoka, Deputy Director: Social Cohesion and Equity in Education from the Department of Basic Education at the National showcase. The teacher’s award for the best mentorship role for the Y-CAP teams went to KwaZulu Natal and North West for the Primary Schools and Northern Cape for the Secondary Schools. The inaugural Sustainability Awards to encourage success stories to be sent in from anyone who has been impacted by Y-CAP since its inception 7 years ago were: Kgaphamadi High School – North West – Won Team award – Teacher Wilhelmina Rankhumise and Learner Nthabiseng Tshabalala. The school has been involved in Y-CAP since 2013 and continues to take part annually, making a huge difference in their school and the rural Hammanskraal area. Thereza Raman from Northern Cape won the teacher award category. Thereza has run Boesmanland High School’s Y-CAP programme since 2011, with all their project still being sustained and making it to Provincial level each year, with one Provincial win. Marcelino Pieterson from the Western Cape won Individual award. He was a National Finalist for Western Cape in 2013 while attending Atlantis Secondary, and is currently studying at University in Cape Town. His team’s Y-CAP project was on poverty alleviation. They knew they wouldn’t be able to eliminate it completely, but decided to make as much of a positive impact as possible. Marcelino learned that through perseverance and team work anything is possible and his confidence increased as he was one of the presenters at provincials and nationals in 2013. Kagiso Tumelo Baloyi from Gauteng was the Runner Up for the Individual Award. He was national finalist representing Pretoria Central High School in 2014 when they created a library at the school. He has been inspired to do more active citizenship projects as Y-CAP raised his confidence and self-esteem. The Y-CAP Support Team volunteers were acknowledged for their hard work to assist the teams from recruiting, workshopping and mentoring through to being adjudicators at district events and some provincial events as well as assisting with admin, research, marketing and fundraising efforts. There were pro bono motivational speakers throughout the weekend who shared stories of their own lives with the theme that your background does not determine your destiny, anything is possible if you have a dream and don’t let anyone stand in your way. From rural Eastern Cape’s Zolani Mbeki who managed to get six distrinctions in matric, an Eskom bursary and is now a CA; to Geraldine Engelman who grww up in a very dangerous gang infested area in the Western Cape, but rose above her cirumstances to become a high powered business woman, to Barkzz Llody Babedi, an Alexandra-born entrepreneur who did not let his physical challenges affect his life; to Julius Mojapelo who was a domestic worker’s son, who achieved 98-100% for some of his matric subjects and is now a CA. Followed by a self-esteem workshop run by Conscious Life Coaching where issues around identity, masks and reality were explored. The learners and adults left with a new sense of inspiration, motivation and purpose. The Youth Citizens Action Programme’s core sponsors are Deutsche Bank South Africa Foundation, who have been involved with the programme since inception in 2009 and DSV Mounties, who joined in 2014 and will expand their involvement. Airlink and Europcar provide in-kind donations for district, provincial and national workshops and showcase events. UNISA is the pro bono research partner, as well as Heartlines providing support and materials. Together, we are encouraging learners to be proactive – not to wait for change, but to become the change they want to see. Youth: Empowered.